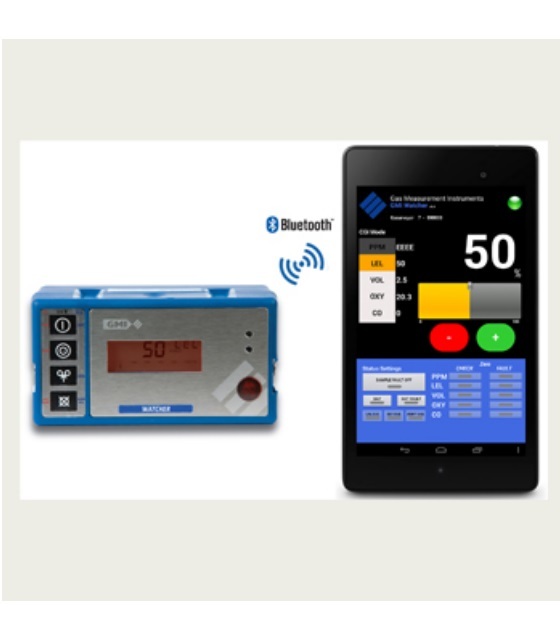 Designed for hands-on hazardous or gas emergency training, the GMI WATCHER uses a Bluetooth enabled tablet PC to wirelessly control specially adapted portable gas detectors from GMI. Complete gas detector operation can be controlled remotely including: gas values and alarms, sample faults/pump operation and battery status. This invaluable accessory is simple to use and can be used for all types of training and assessment to ensure personnel respond correctly in all aspects of gas detection. By remotely controlling the operation of the gas detectors, you can observe how the operator responds to gas values and alarms in different situations and customise training or retraining. Google Nexus 7, Android OS, 7" Screen (or equivalent) c/w protective cover, Quick Op Guide and power cable. NOTE:	Additional Watcher Training Instruments available upon request.